Naturalness denotes the extent to which the scene exhibits a natural appearance with the imprint of human presence not being readily apparent. Naturalness is a continuum, a relative concept, from pristine through to the totally artificial. There is probably no place on earth that has not been affected, however slightly by human presence on the planet, for example, by the presence of artificial chemicals in remote areas transported there by winds or litter along remote beaches transported there by ocean currents. However, naturalness here refers to the visually apparent degree of naturalness as evident in the scenes. Naturalness is an holistic or derived factor based on the content of the scene, it does not actually exist as a physical feature such as trees, rocks and river, but rather is perceived from one’s judgement of the scene. It is the element underlying the specific attributes of water, trees and land forms examined separately. Coherence – reflects the unity of a scene, where coherence may be enhanced through repeating patterns of color and texture. exhibits ecological and physical processes comparable with reference conditions. Human perceptions and experiences of a ‘site’s’ natural character are a product of the ‘site’s’ biophysical attributes, each individual’s sensory acuity, and a wide variety of personal and cultural filters. In Lothian (2000), naturalness was scored on a 1 – 5 scale and high naturalness was reflected in high ratings (Figure 1). 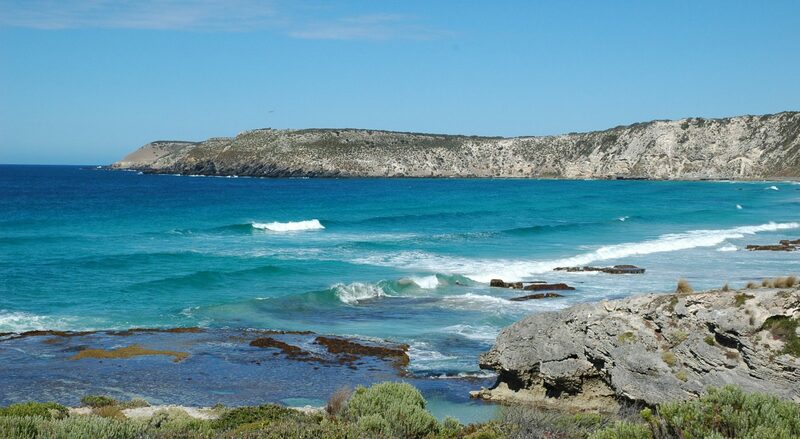 The Coastal Viewscapes study (Lothian, 2005a) covered South Australia’s natural coastline, and this was reflected in the naturalness scores which were largely between 3 and 5 (Figure 2). The trend line indicated that for each unit increase in the naturalness score (e.g. from 3 to 4), ratings also increased by one unit. The Barossa Valley is a largely agricultural area with relatively few natural areas, and this was reflected in the low scoring of naturalness (Figure 3). In contrast, the River Murray, Lakes and Coorong are much more natural in appearance as reflected in the high scoring of naturalness (Figure 4). Similarly, the Flinders Ranges is highly natural with most scores above 3 (Figure 5). The Lake District in England is a mixed farming area amidst splendid lakes, woods, fells and mountains and its naturalness is middle ranking (Figure 6). In the Mount Lofty Ranges study, the influence on naturalness of land form and land cover were examined and it was found that land cover had a far stronger influence than land form (Figures 7 and 8). Although the R² are low, the trend line slope of 0.98 is more than three times steeper that of land form, 0.30. Table 1 summarizes 46 studies that examined the influence of naturalness on landscape quality preferences. Jones et al, (1976) surveyed road users of their enjoyment of views from a road through the Rockies in the State of Washington. Prominent among the positive features were natural scenes, while negative scenes included artificial features but also natural features such as wetlands and scrubland (Table 2). This suggests that it is not simply naturalness per se which influences preferences, but also the content of the scene. It is notable, however, that the ratings given to these negative natural scenes were generally less than for the artificial scenes, suggesting that the feelings against them were not as strong as against, for example, billboards, industry and the like. Civco (1979) assessed the natural, rural and urban landscapes of eastern Connecticut by asking respondents to rate the 32 landscape features contained in landscape photographs, features such as lakes, various types of trees, hills, shore-lines, wetlands, roads, fences, houses. Figure 9 indicates that the natural landscape elements were rated among the highest while the artificial elements were rated low. Dearden (1980) measured 30 landscape elements per 1 km grid square on Vancouver Island and used respondents to rate the scenic quality of these grid squares. Using regression analysis, the weights of each landscape element were derived. The ‘R’ scores are shown in Figure 10 and their size indicates the correlation between visual quality and the landscape element with the figure indicating whether it is a positive or negative relationship. Many of the positive features are natural elements of the landscape, the top 8 being: undeveloped coast, oak woods, rocky coastline, sandy coast, pine woods, relative relief, scattered trees and mudflats. Interestingly natural lakes and rivers were ranked lower than some artificial elements and the reasons for this are unknown. Dearden, 1980. Note: The ‘R’ value is shown here instead of the R2 to retain the positive or negative relationship. Herzog (1987) assessed preferences for natural environments of mountains, canyons and deserts through the framework of Kaplan’s predictor variables: spaciousness, texture, coherence, complexity, mystery, and identifiability. He concluded that preference for deserts is enhanced by familiarity, diversity and mystery, mountains are well-liked elements of the landscape, and spacious canyons are preferred over narrow shadowy ones. Lamb & Purcell (1990) examined naturalness in relation to Australian vegetation. They asked respondents to rate 71 slides for naturalness using a horizontal line 130 mm long with the words “not at all natural” at one end and “completely natural” at the other. No units were shown on the scale. Respondents rated slides against this scale. Results ranged from 53 to 115. While related to ecological naturalness, perceived naturalness was not equivalent. They found that tall and dense woods and forests were seen as more natural than low, open vegetation (Figure 11). Lamb & Purcell, 1990. Note: Part scale shown only. In a later study, Purcell & Lamb (1998) found that the rating of altered low forest was 14.5% lower than for intact low forest, and for scrub the figure was nearly 9% lower, thus indicating a preference for vegetation in a natural state. In Nigeria, Choker & Mene (1992) surveyed preferences of urban, rural and natural landscapes. The means for these were: urban 8.4, rural 8.8, and natural 7.5 which is lower than the other two. However, while scenes of urban and rural areas received more extreme ratings, those of natural areas were less varied. Interestingly the least preferred natural scene was of tropical rain forest. In this developing nation, there was a preference for developed, economically significant urban and rural scenes. Among all the groups, natural landscapes were the least preferred (Table 3). The authors asked respondents what attributes determined their rankings of the scenes; the natural or physical attributes identified were, in order, the presence of greenery/shade trees, well-kept flowers, natural waterfront/river sides, well-trimmed grasses; others included recreational setting, perceived fresh, breezy atmosphere and general maintenance. The list is noteworthy for the number of interventions into the natural landscape. While the Nigerians liked trees, their preference was for trees of food or commercial value such as palm trees, coconut trees, papaw plants and citrus trees. Similarly, the rural uneducated respondents preferred natural scenes suitable for fishing, farming, hunting or forestry. In the New Forest in England, Gregory & Davis (1993) assessed the aesthetics of riverscapes and found that the preference in natural woodland channels was for relatively deep clean water and banks that were being actively eroded. The most preferred scenes were not the most natural, for example, the presence of coarse woody debris was seen as undesirable but is, in fact, more natural. Interestingly, a majority (52%) preferred this last landscape which the authors termed “deep ecology”, while a further 32% preferred the wild, interactive nature. The majority of villagers regarded wild nature as more natural than Arcadian nature. In contrast, when Fairweather & Swaffield (2003) asked New Zealanders about their preferences, 67% preferred “cultured nature” to “pure nature.” However, this was from a relatively isolated rural community with a high (42%) Mäori population and may not be representative of all New Zealanders. They concluded that the study supported two of the indicators – succession and patches but not the varied edge indicator. In her study of Australians trekking up to Mt Everest, Beza (2010) found that both Australians and their Sherpas placed snow-covered mountains, glaciers, ice falls, moraines, vegetation, signature architecture and a pristine landscape as the most beautiful, attributes which are mostly natural. The studies described support the view that nature exerts a powerful influence on human landscape preferences. In most of its manifestations, whether as coast and sea, rivers and lakes, mountains and hills, trees and forest, the natural element nearly always produces positive preferences. There are, however, some natural scenes that tend to be regarded negatively and these include deserts, marshlands and scrubland. Erosion or vegetation debris in streams, though elements of the natural environment, also tend to depress preferences. Where the presence of humans is apparent, such as through clear felling, grazing, pollution of water, dams and structures, the preferences are affected adversely. While there are some parallels between perceived naturalness and ecological naturalness, scenes which are artificially created or manipulated scenes may be perceived as natural. This suggests that human preference for natural scenes is superficial, that it is concerned with the appearance, not the substance of the scene. Environments that are essentially artificial can be made to appear natural. Such an approach is, of course, well-known among theme park designers; the Disneyland creations of contrived nature. Nevertheless, some studies have also indicated that human observers are able to discriminate quite finely between natural scenes and those that have human influence. The ecological-evolutionary viewpoint argues that naturalness preferences are survival-enhancing and that humans are able to discriminate between scenes that contribute to survival and those that may be adverse.